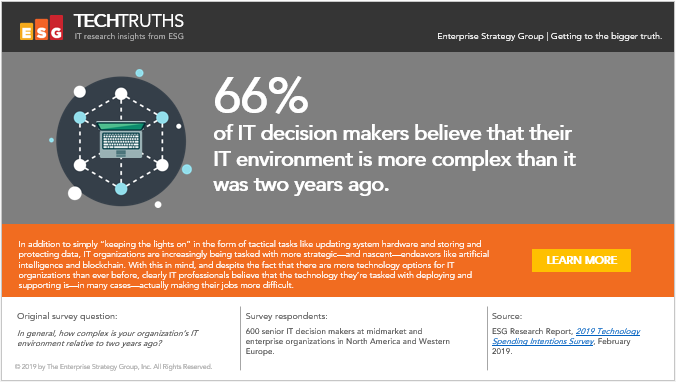 How complex is your organization’s IT environment relative to two years ago? 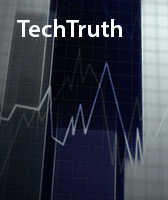 In addition to simply “keeping the lights on” in the form of tactical tasks like updating system hardware and storing and protecting data, IT organizations are increasingly being tasked with more strategic—and nascent—endeavors like artificial intelligence and blockchain. With this in mind, and despite the fact that there are more technology options for IT organizations than ever before, clearly IT professionals believe that the technology they’re tasked with deploying and supporting is—in many cases—actually making their jobs more difficult.